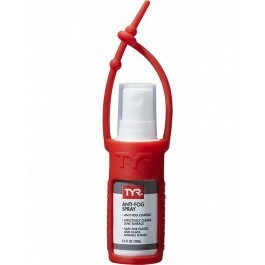 Specifically formulated to keep goggles clean and fog free, the TYR 0.5 oz. 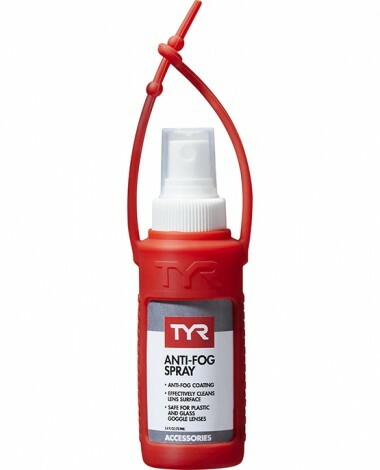 Anti-Fog Spray is a true swim essential. Simply spray the LAFSC solution on any goggle, mask or lens and wipe the surface clean. A Silicone case is also included for easy use. Great for keeping my goggles from fogging up. When they do eventually up it is very minimal. The time it takes for them to eventually fog up is greatly extended. The spray works great. I now don't have fogged up goggles. Nice idea, but it really doesn't work.